For the latest !! NEWS !! - Scroll down or Click Here! Kommer Kleijn SBC (1959) was born in The Netherlands and studied in Belgium with Ghislain Cloquet ASC and Charlie Vandamme AFC. 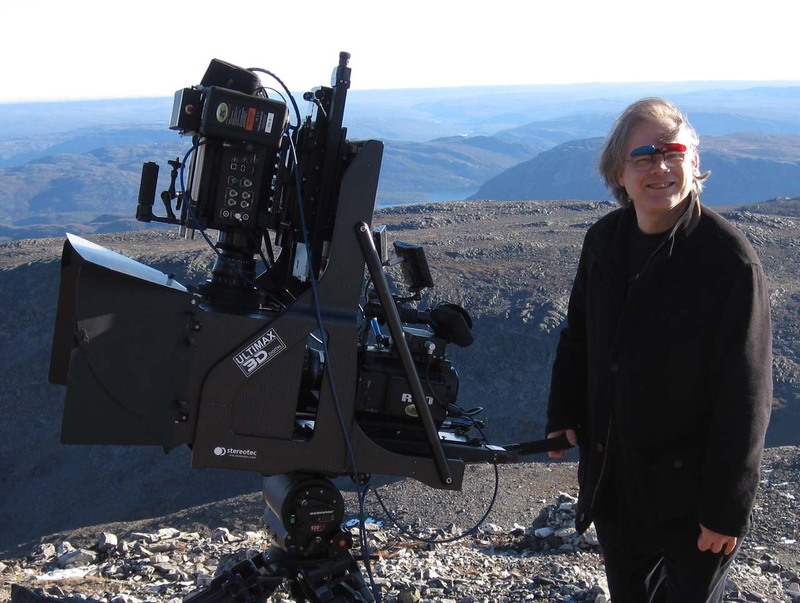 He is a Director of Photography, a digital imaging pioneer, a Visual Effects and motion control specialist and a Stereographer, and is also active in perception research, technology developement and standardization, and consults for equipment manufacturers. While he learned the trade with analog film he has always been at the forefront of the digital evolution. In 1996 he was the first to shoot digital cinematography in more than 2K, shooting the first digitally captured clay animation short. In 1997 he was the first to shoot digitally for a large format movie, and pioneered the now common single chip large sensor digital cinematography technique using a then experimental camera system he co-developed with two friends. 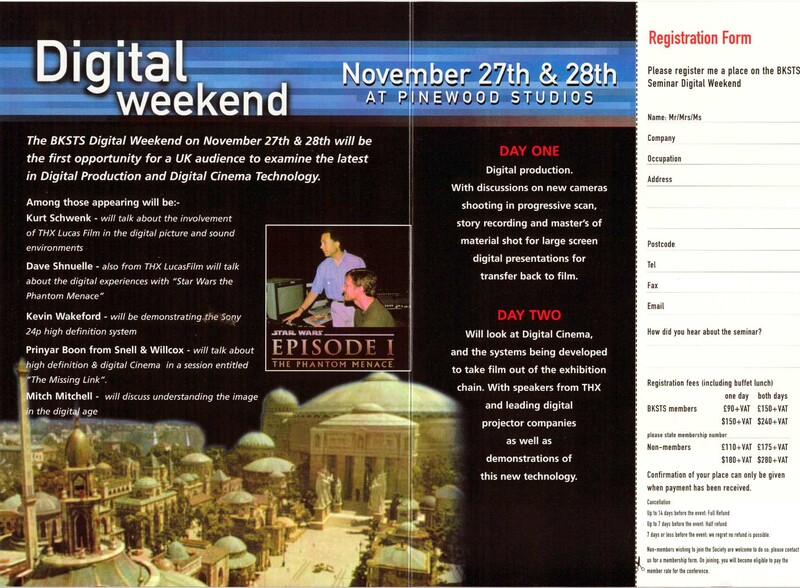 He presented this technique publicly at BKSTS Digital weekend in Pinewood nov 1999 and at the VFX 2000 International conference in the London Waterloo IMAX theatre. It has since become mainstream throughout the industry, replacing the previously used three chip method. In 2004 he initiated the Additional Frame Rates work in Digital Cinema Projection Standardization, leading to the addition of the frame rates of 25, 30, 50 and 60 fps to the International standard of Digital Cinema distribution and Projection (DCP) in 2009. In 2007 he shot 4K footage before 4K cameras were released using dual HDcamSR and in 2011 he worked on the first theatrical HFR feature that used a short exposure time per frame. He collaborated with the development of two specialty camera systems (one Digital Cinematogrphy, one 3D), a stereo processor for 3D live broadcast and designed a motion control rig: The Animoko. He has worked on visual effects for commercials, special venue movies and large format movies and he has also photographed many of those. Among them are numerous stereoscopic productions, including IMAX 3D. He has been practising stereography professionally since 1998 and as a stereographer has been involved with many kinds of 3D productions including theatrical features, commercials and stereoscopic multi camera live captures for sports and music. 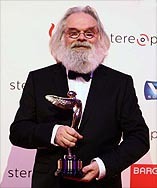 He pioneered stereography for the first 3DTV direct live transmissions in Belgium, France, Italy, and supervised the first direct live 3D Eurovision capture. He was given the 2017 Lumiere Award - Europe, Best European Stereography by the Advanced Imaging Society, UP3D and 'Stereopsia' for his 20 years of dedication to stereography. He has been a teacher in 3 film schools and worked internationally as an instructor for 3D workshops for professionals. He has chaired the IMAGO technical committee for a decade and he has served as an SBC, UP3D and EDCF board member. He is a member of the AES, he chairs SMPTE 21DC Additional Frame Rates Groups since 2006 and he was a co-chair of the SMPTE 21DC study group on High Frame Rates (HFR). He is a regular speaker on international image technology and 3D events and was awarded the "Bert Easey Technical Achievement Award" by the BSC in for his achievement in implementing the 60 frame rate proposal as an addition to the International Standard for Digital Cinema projection. 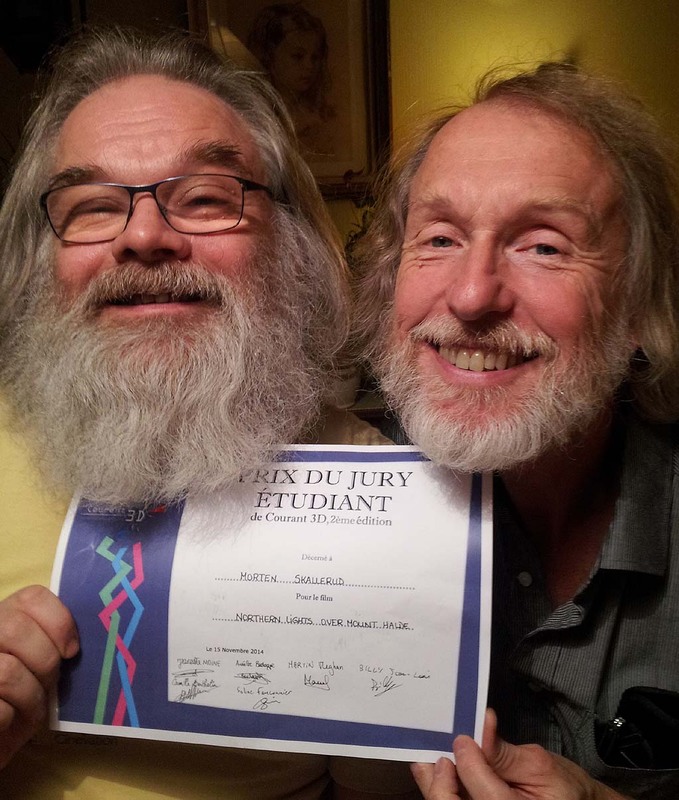 He received an IMAGO Tribute for his contributions to IMAGO, the European Federation of Cinematographers, and he is an IMAGO depute board member. His interests extend into research on human hearing and sound reproduction. He participates in a development team led by John Watkinson, which is creating a new kind of loudspeakers. - I will be a speaker at the Symposium on Audio Research and Practice in Belgium in Ghent, Belgium, on May 14th, 2019. The symposium is organised by the Belgian section os the AES. I will present about "The importance of precise reproduction of time-domain information in Loudspeaker Systems". Entrance is free and does not require AES membership. Free registration is mandatory however. Click on the title or here to see an abstract for my presentation. - I was given the 2019 IMAGO International Honorary Member Award during the IMAGO International Cinematography Awards Ceremony in Belgrade, Serbia, on Saturday March 16th. - IMAGO has announced that I will receive the 2019 IMAGO International Honorary Member Award during the IMAGO International Cinematography Awards Ceremony in Belgrade, Serbia, on Saturday March 16th. - I will be a speaker at the 3rd International Conference on teaching and researching Cinematography in Brussels, Belgium, April 4 - 6, 2019. I will be speaking about "Movement and image sharpness being mutually exclusive at usual cinema frame rates". Please click on the title or here to see an abstract for my presentation. Here is also a copy of the Conference Program. - I was given the 2017 Lumiere Award - Europe, Best European Stereography by the Advanced Imaging Society, 'Stereopsia', UP3D and BARCO for my 20 years of dedication to 3D as a stereographer, researcher and educator. I received the award during the Awards Gala Dinner in the BOZAR art palace in Brussels, Belgium. Click here to read on. - I was bestowed the IMAGO TRIBUTE AWARD by the board of directors of IMAGO during the Imago General Assembly (IAGA) Bitola, Macedonia, on september 14, 2016 for my contributions to IMAGO among which the Chairmanship of the Imago Technical Committee for about 10 years. 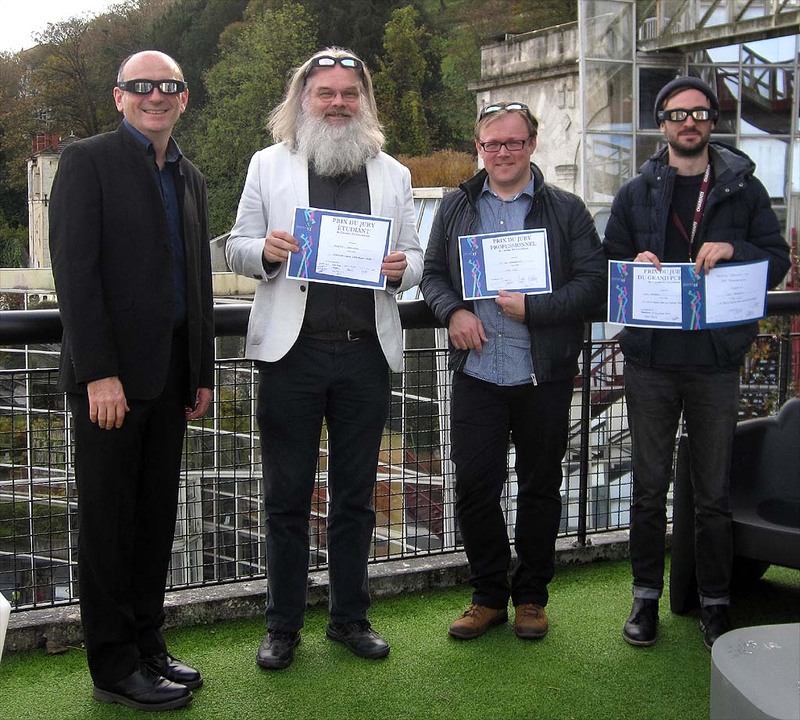 - The short S3D movie "Northern Lights Over Mount Halde" by Morten Skallerud won the Second Prize in the Courant3D festival for short 3D films, Angoulême, France. I collected the prize on behalf of the director having served as stereographer on the project. 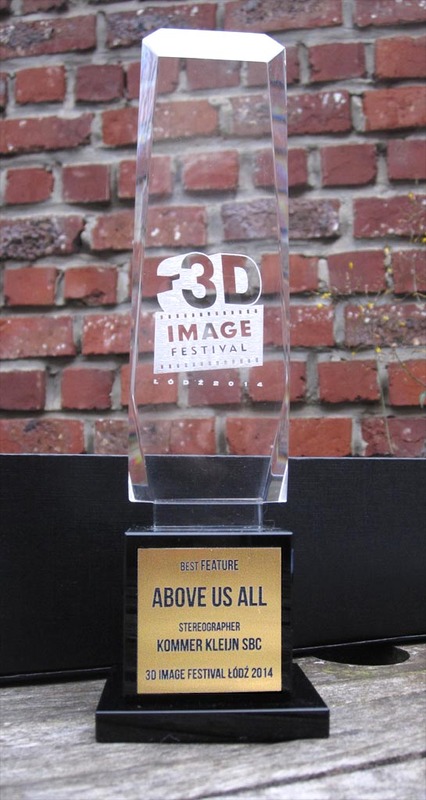 - The feature film "Above Us All" by Eugenie Jansen won in the 'Best Feature' Award in the 3D IMAGE festival, Lodz, Poland. I actually received the prize myself as the lead stereographer on that movie. - The feature film "Above Us All" by Eugenie Jansen will be released (in full 3D HFR 50 fps/eye) at the Eye institute Amsterdam and other cinemas in the Netherlands on Sept 11th 2014. I served as the lead stereographer on this movie. - The feature film "Above Us All" by Eugenie Jansen will be premiered (in full 3D HFR 50 fps/eye) at the Berlinale Festival on februari 12th and 16th, 2014. I served as the lead stereographer on the project. - I will be presenting at IDIFF, Paris, januari 18th 2012 on "High Frame Rates for 3D and 2D digital Cinema"
- The feature shoot "Above Us All" went well and finished beginning of oktober. - I am working as a stereographer on the shooting of the movie "Above Us All" , a full length feature film by Eugenie Jansen, photographed by Adri Schrover NSC. We are shooting in 3D at 50 fps per eye. - Aardman Animations in Bristol U.K.have bought two additional ANIMOKO rigs and now own a total of three. - I will be participating in a 3D panel in a Euro MEDIA conference about AV education on monday 21 march. - I will be participating in a 3D session in Tampere, Finland on friday 11 march and saturday 12 march. - I will be participating in a 3D info evening in Amsterdam on monday 7 march. - The movie Lord of the Dance 3D, capture of Michael Flatleys' show "Lord of the Dance" will premiere in London on march 10 and will be released in cinemas in the UK, the USA, Ireland and Canada on March 17th. - I was hired to supervise stereography on Lord of the Dance 3D the capture of Michael Flatleys' show "Lord of the Dance". We shot five nights total in London and Dublin. The movie will premiere with a rich choice of cameras, rigs, technocrane, steadies and a furio. 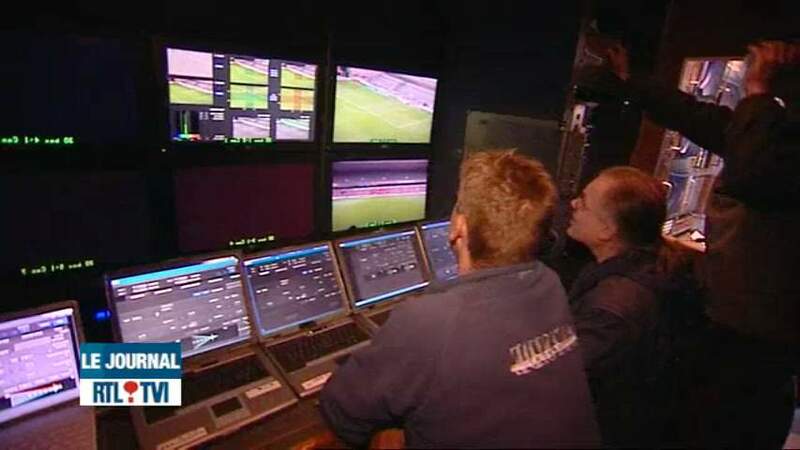 I also did a live 3D transmission of international Rugby in Verona Italy, reported by "La 7" as the first 3D live broadcast in Italy. - In oktober I worked with Morten Skallerud shooting his 3D short film on the pioneers of northen light studies in Haldde on a mountain top not too far from the north pole. We had to transport all crew and equipment by helicopter. 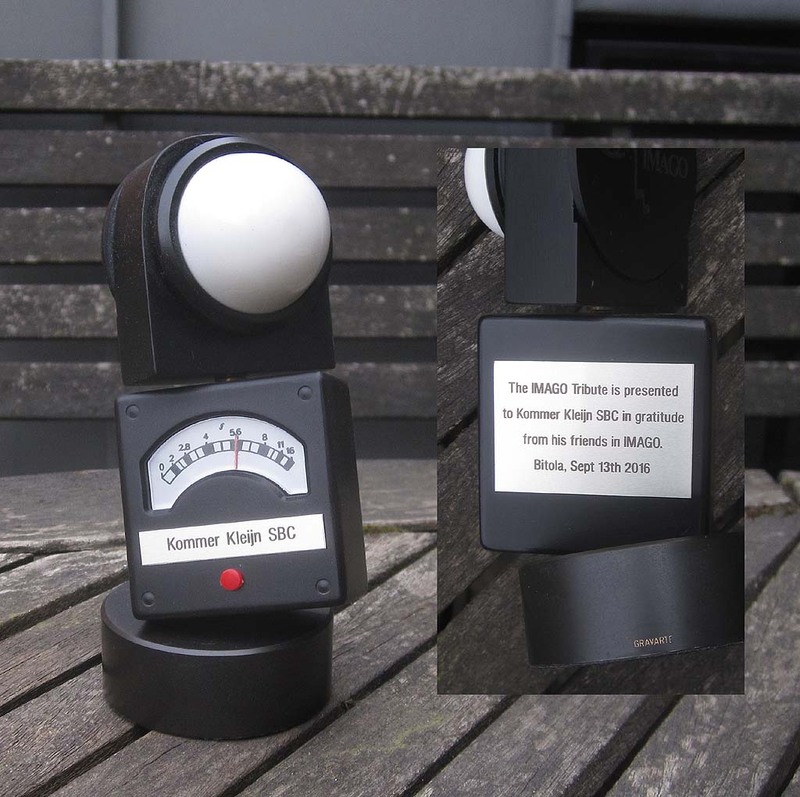 - Aardman feature animations have ordered an ANIMOKO for use on their present feature shoot. - Learn more about Kommer in this article (in English) recently published by the NSC (Netherlands Society of Cinematographers). Dutch Language version also available. ---> Meet Kommer at one of the 4 3D workshops at IBC production village on saturday and sunday, or in one of the two conference sessions on the IBC main conference on monday and tuesday. See lower for prelimanery presentation slides. This site is still under construction. Not all pages are active at this time..